The sixth annual Lobster Fest is just around the corner! All lobsters are flown in fresh from Nova Scotia. 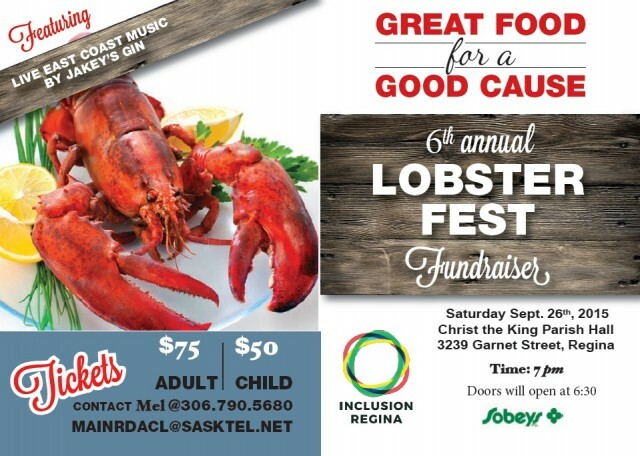 All proceeds will support the ongoing programs of the Inclusion Regina (Formerly known as Regina & District Association for Community Living). $25 of the adult ticket is tax deductible.